Say hello to a new series on technology and getting the most out of your iPad - Pimp my iPad. 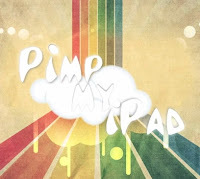 Pimp my iPad will be launching on Monday on Lifeinthefastlane.com. In each episode, we will be imparting a gem, pearl or snippet of wisdom on how you can get the most out of your iPad. Whether it be the underutilised features of iOS, useful applications, accessories to augment and enhance your iPad, through to ways of using the iPad to get the most out of it. In the first few episodes we cover basic ipad controls, multitouch gestures, apps, folders and sharing and much more. If you're already a power user, don't worry there is something for everyone and we quickly jump into some of the more powerful hidden features of the iPad. Checkout the promo trailer below.